HCM City (VNA) – The Saigon International Services Company (Saigon Inserco) held a ceremony on August 9 to inaugurate a centre training Japanese language for labourers who wish to work in Japan. Covering 5,000 sq.m in District 2, HCM City with classes, a library, a dormitory, a canteen and a sports ground, the centre can accommodate about 1,000 trainees. It was built at a cost of 150 billion VND (6.6 million USD). 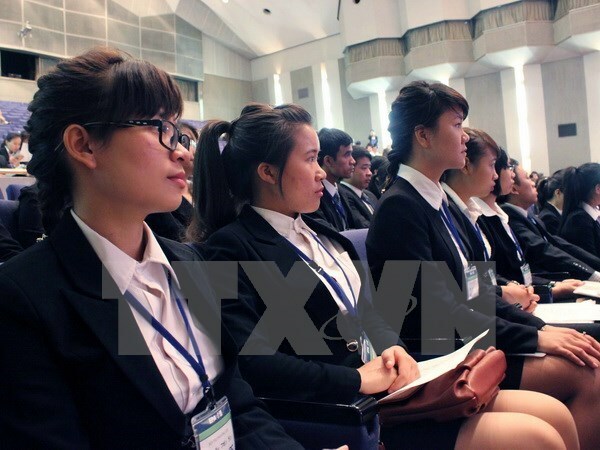 Speaking at the inauguration ceremony, Nguyen Gia Liem, deputy head of the Overseas Labour Management Department under the Ministry of Labour, Invalids and Social Affairs, stressed the importance of training Japanese language for labourers as Japan is now home to around 100,000 Vietnamese apprentices. When workers are equipped with knowledge, skills and Japanese language, they will easily get good jobs with high salaries, he said, adding that they will also have many opportunities to work in Japanese-invested businesses in Vietnam after their contracts expire.